A few weeks ago, I read The Devil in the White City (you can read my review here). Helen Keller appeared for a brief moment in the book as a visitor at the World's Fair in Chicago circa 1893. Reading about her reminded me of my confusion over HK and the fact that for most of my life I have been unsure if she ever existed at all. I mean really: the girl was blind, deaf, and mute. HOW did she learn to speak and function like a fairly normal human? Is anyone with me on this? I'm not trying to be mean, but it's a little fishy, no? I, therefore, convinced myself that Helen Keller was a hoax and couldn't have actually lived. But then she appeared in Devil, and I said to myself, "Self, you should read a Helen Keller biography." Because I realized that I actually didn't know anything about HK and therefore shouldn't be deciding important matters like whether or not she existed without doing proper research. Of course, I reasoned, reading her autobiography wouldn't prove anything, because if she didn't exist, obviously somebody else wrote the book. No, I would read a biography about her. So I went to the library and typed in "Helen Keller biography" and then searched through the list and ended up with: Helen Keller: Rebellious Spirit by Laurie Lawlor. It was just what I was looking for--information about the great Helen Keller and explanation as to how she learned all the things she did being deaf and blind. 1. Helen Keller lost her hearing and sight at 19 months old. While she was very young, HK did have a faint memory of hearing words, which is what happened with the famous water pump scene. She had a flashback of one of the first words she knew: water. 2. HK was a sort of child prodigy. She was extremely smart and had a fantastic memory. That's how she was able to eventually remember words and phrases in a way that wouldn't be possible for most other people/children. 3. It took over two months of HK's teacher, Annie, finger spelling words into her hand before she made the connection between the finger movements and actual things. Annie would literally spell every single word into Helen's hand all day long. 4. Helen's teacher was young when she began teaching Helen. Maybe twenty, I think. Annie herself had bad eyesight and even started to go completely blind later in life. She was extremely possessive of Helen and throughout their lives continued to drain the pair of finances. Honestly, I found Annie childish and annoying. 5. Helen could feel things that escape people with eyesight. The book said she could feel footsteps, which is how she knew when people were approaching and leaving, and where they were going in the house. She could also feel emotion. She knew when someone was angry or sad or happy just in the air about them. For example: if they were tense or if they sat down heavily or tapped their toes, etc. 6. Helen's sense of smell was very important. She could fold the laundry and knew which clothes were hers just by smelling them. She could walk around town and know where she was just by the smells of the different shops she passed. She also knew when people entered a room or walked by her because of their smell. 7. Helen learned to speak. This is where I always got tripped up. How did she do that? Here's how: she would touch a person's face--lips and throat--while they spoke. She had a voice teacher who taught her to make the sounds based on how much air she pushed through her lips, how her lips moved, and how her throat stretched and contracted. Learning to speak took a considerable amount of time, obviously. She often got frustrated that she couldn't converse "like a normal person." Annie would finger spell a word into Helen's hand, and Helen would have her hand on Annie's lips, feeling how they moved and how much air escaped while she said the word. Helen's voice was not beautiful. The book said that when Helen met Thomas Edison (who was hard of hearing himself), Edison compared her voice to that of "steam exploding." Her friends described it as someone speaking with a heavy foreign accent. Helen could also lip read by touching her fingers to a person's lips or face, which allowed her to converse with friends (or people who didn't mind her touching their lips). 8. Almost all the photographs of HK you see are a right-side profile. This is because Helen had a deformity in her left eye. Later in life, Helen got glass eyes, which looked normal. 9. Helen was extremely liberal, especially for that time period (early 20th century). She spoke out on civil rights and women's right to vote and work, and many people didn't appreciate her being so vocal about these sensitive subjects. But she continued to travel the country and speak on these things until she died. 10. Helen outlived her teacher, Annie, and eventually died at the age of 87. So there you have it! 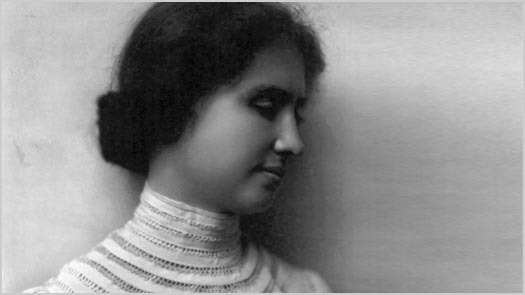 Helen Keller was a real person. I skipped the part in elementary school where we watched the HK movie, so I feel good about finally getting around to learning a thing or two about her. New follower! 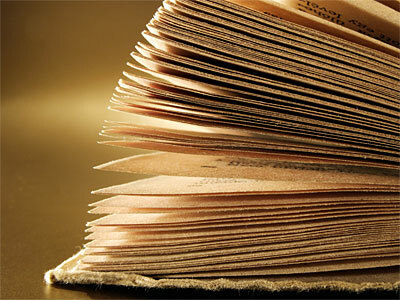 Love your writing and your photos. Interesting summary of HK's life. Just thinking about her situation makes me feel claustrophobic--no sight, no hearing! Amanda! You make me chuckle so much! I'm so glad you decided to investigate and verify that HK was indeed a real person. And a pretty darn amazing one at that. I know you're more of a reader than a viewer, but now that you've read a biography about her, you would be well served to watch "The Miracle Worker". It is really a great film and even though it focuses as much on Annie's determination and belief that Helen was smart and capable, contrary to the beliefs of her family, it also focuses on Helen and how hard it was for her to be "locked" away in a confusing and angry world where she could not communicate her needs. Annie may have been childish (I haven't read much about her) but I think you'll like the movie anyway. It's funny that you called Annie childish and annoying because I didn't know anything about the water pump scene you referred to. So I googled it before I continued reading your post and read this story about Annie being a miracle worker and a patient Godsend for HK and her best friend and the one responsible for changing her life forever (for the good). Anyway, reading your "childish and annoying" assessment was just funny in light of that. Perhaps both writers failed to capture the true essence of Ms. Sullivan. Anyway, I'm glad you enjoyed it, and good job on reading historical/biographical stuff in order to learn. That's so adult and mature and intelligent of you! And thanks for sharing what you learned with the rest of us! Mimsie, thank you! Glad you're here! Tiff, a few people have told me about that movie. I think I should watch it. I do think Annie seemed childish, but I don't necessarily blame her. And that's not to discount the amazing influence she had in Helen's life. Thanks for the recommendation! Audra, I'm surprised you hadn't heard about the water scene. Although I can't really talk. That was pretty much the only thing I knew about HK before reading this book. I did think Annie was annoying, but I most certainly agree that she was largely responsible for changing Helen's life for the good. Before Annie came along, Helen was kind of left to fend for herself, and she wasn't getting any teaching. It was more later in life that Annie started relying on Helen more than the other way around. She would refuse to let other people communicate to Helen directly but instead insisted on being the go-between. That kind of thing started to annoy me. But I agree with you: I'm sure her true essence is hard to capture, especially since she shied away from interviews and photographs later in life. Thanks for the kudos. I do feel a bit proud of myself for taking the initiative to learn about her. I feel so much more informed. Helen Keller was a hoax. Welcome to the real world!